Together, Allamuchy Mountain and Stephens State Parks include 9,600 acres in Morris, Sussex and Warren counties. Allamuchy Mountain State Park lies mainly on the uplands, rising to over 1,100 feet, while Stephens lies in the valley below, along the Musconetcong River. Despite being bisected by Interstate Route 80, there is plenty of space to find your own special spot in this picturesque and diverse landscape. Or immerse yourself in any of the fascinating historical aspects of the park that range from pre-historic to the industrial eras. More than 36 miles of old roads and trails connect these sites, weaving a tapestry of natural features that beckon any lover of the outdoors. Saxton Falls and Morris Canal lock. 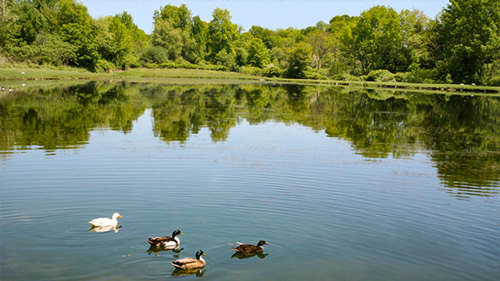 Stephens, named for the family that, in 1937, donated 228 acres along the Musconetcong for recreational purposes, provides camping, fishing and picnic facilities easily at hand and quite family friendly. The history goes back much further, as indicated by an old limestone kiln near the park office. There are several easy loop trails that begin and end at the parking area. 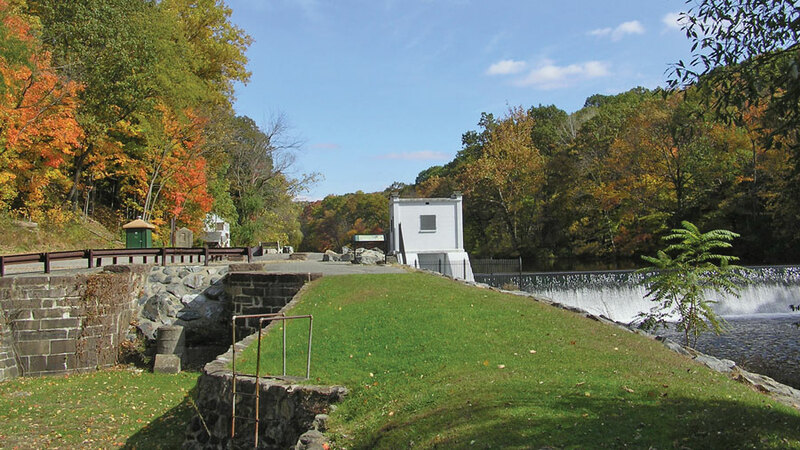 When the Morris Canal brought a business boom to the Musconetcong Valley in the mid 1800s, farmers brought their grain down from Allamuchy Mountain to be shipped to the city. Iron ore from small mines on Allamuchy Mountain also traveled via the canal. Saxton Falls dam, located within Stephens, was built to divert water from the Musconetcong to the canal through a guard lock, the remains of which are still visible. The pools and channels below the current dam are a favorite spot for trout fisherman. Tow Path Trail extends about a half mile beside the riverbank, then along remnants of the Morris Canal on the other side. This level path that mules followed as they towed canal boats across New Jersey is a splendid place to observe wildlife and fall foliage. Up river from Saxton Falls, Waterloo Village, an historic hamlet that dates to Colonial days, saw its heyday during the Morris Canal era, and the existing canal lock, inclined plane site, canal store and other buildings give a real sense of Waterloo's role as a canal port. Restored in the 1960s and 70s, the village eventually became part of Allamuchy/Stephens State Park, and a destination for many thousands of visitors. 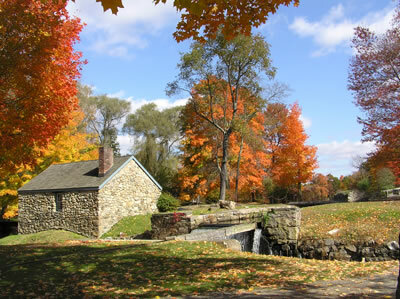 Waterloo was shut down in 2006 for renovation, but recent efforts by the New Jersey Division of Parks and Forestry, the Canal Society of New Jersey, and the newly formed Friends of Waterloo Village, provide occasional access to a number of canal features and the Canal Museum. Anytime during daylight hours, visitors may walk the old streets past striking Victorian buildings framed in blazing autumn colors. The Lenape Village at Waterloo Village was also created to help visualize the past. Built on an island in Waterloo Lake, the Lenape Village—called Winakung ("Place of Sassafras")—is surrounded by thousands of acres of wooded forests, a place of wonder where you can walk 400 years into the past and experience an ancient and gentler way of life. The Lenape Village also suffered from neglect in past years, but has since been restored for school trips and intermittent public visitation. 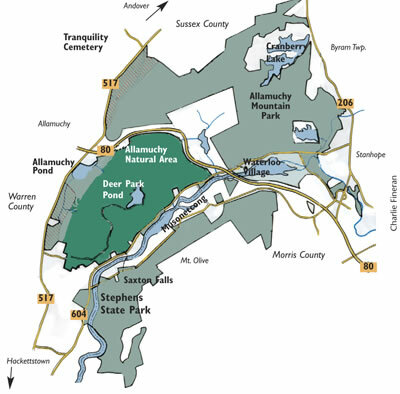 The part of Allamuchy State Park south of Route 80 is called the Deer Park section, and the Allamuchy Natural Area, a preserve for the better part of a century, surrounds Deer Park Pond. 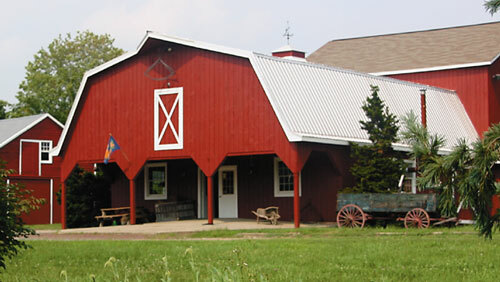 Small farms occupied the area until Rutherfurd Stuyvesant, a descendant of Peter Stuyvesant, Dutch governor of New York bought most of the farms at the turn of the twentieth century, increasing his ancestral estate, called Tranquility Farms, to 5,000 acres. He established Deer Park, a 1,000 acre private game preserve on Allamuchy Mountain, introduced the English pheasant to America and reintroduced deer to his preserve. Fencing surrounded the entire area, sections of which can still be found today. In 1941, Clendenin J. Ryan purchased the estate, adding property in Sussex and Warren counties. In the late 1960s, the state bought land for Interstate Route 80, splitting the estate in two, and later purchased the Allamuchy Mountain sections of the estate with Green Acres bond funds in the 1970s. Stuyvesant Mansion, back in the day. A cabin built in the late 1700s was expanded to the 65-room Stuyvesant Mansion, which burned in 1959. The old road to the residence is accessible off of County Route 517, north of I-80, past Old Allamuchy Road. A gate on the right and small parking area mark Old Stuyvesant Road, which winds in back of the present-day Tranquility Farms. A stone gate on the right leads deeper into the woods along the carriage path to the mansion grounds, which are closed. You can continue on the old road and arrive back on Route 517. Past the church and cemetery across the road on Route 611, many generations of the Rutherfurd and Stuyvesant family rest in Tranquility Cemetery a few hundred feet further, off Maple Lane. 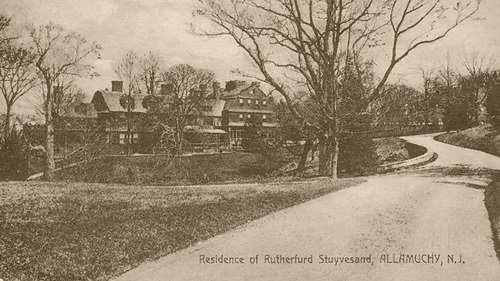 Rutherfurd Hall, located on Route 517 just south of I-80, Exit 19, on Allamuchy Pond, was built around 1903 by Winthrop Chanler Rutherfurd, brother to Rutherfurd Stuyvesant. The names are confusing because John Stuyvesant Rutherfurd changed his name to Rutherfurd Stuyvesant in order to qualify for his inheritance from his wealthy uncle who wanted to insure the perpetuity the Stuyvesant surname. Rutherfurd Hall and the new Allamuchy School wing. President Franklin D. Roosevelt visited his friend, Lucy Mercer, second wife and widow of W. C. Rutherfurd, at this site in late 1944. After Mercer's death, the mansion was donated to Catholic Sisters as a retirement home. An addition was built to the mansion, and the site became known as Villa Madonna. Today both buildings are owned by the Allamuchy Township Board of Education, and the addition is the new pre-school through second grade. The remainder of the mansion has become a multi-use site for various programs available to the public. A new official entrance to Allamuchy Park now accesses a trail along the pond's shoreline and a boat launch. From the recently completed parking lot, one can walk down along the pond's west shore with the mountain as backdrop to beautiful views. Or walk toward the mountain across the north shore and the great lawn of the Rutherfurd Hall. Continue on to the dam, which the trail crosses, then follow south along the east shore. passing by four nice benches at several viewpoints. Allamuchy Township, of which the Park comprises almost one third, is due credit for its proactive partnering with New Jersey's Division of Parks and Forestry to create and maintain these assets. 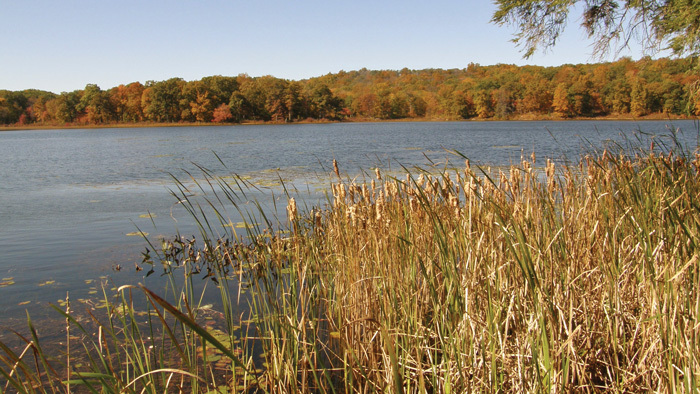 The Township's Open Space program promises energetic cooperation with efforts to connect these sites in a green belt across northwest New Jersey. Deer Park Pond sits atop Allamuchy Mountain. Further south on Route 517, Deer Park Road appears on your left, part of the park's White Trail system, and one of fifteen miles of trail in the Allamuchy Natural Area. From a small parking area about a mile up the gravel road, you can walk, jog, or bike along the unpaved, but well-kept road. Several fields lead eventually into woods in which marked trails depart from the road on both sides. About a mile and a half from the start, a spur trail takes off to the left. There is no sign here, but the trail crosses an old fence line, then leads to a scenic area off of eastbound Interstate 80, once suggested by Lady Bird Johnson to be one of the best vistas in New Jersey, overlooking a spectacular panorama west towards Jenny Jump mountain and the Delaware Water Gap. Another trail leads to marsh, and, still another, to the remains of an old mine. The main road continues into a beautiful pine grove where you can begin to see Deer Park Pond off to your left. The road follows the pond's south and east shore and ends at the dam located at the northeast corner, high above the fray of interstate transport. The section of Allamuchy Mountain State Park north of Route 80 is generally more rugged, offering challenges for seasoned hikers and mountain bikers. Besides the maze of park-blazed trails throughout, the Sussex Branch Trail crosses the ridge from its southern entrance off Waterloo Road, near Jefferson Lake, to where it exits the park at Cranberry Lake and continues north to Newton. The former rail bed cuts through rock ledge, maintaining a hospitable grade for relaxed walks. 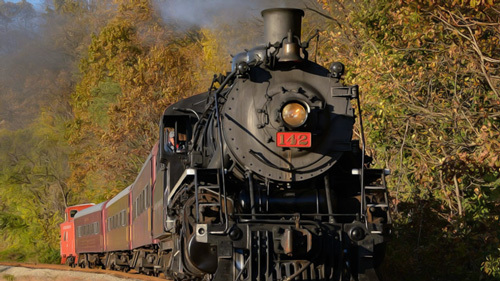 The Highlands Trail crosses the Sussex Branch, running southwest through Allamuchy and Stephens along a band of foothills and watersheds between Bear Mountain, NY and the Delaware River in Rieglesville, NJ. Bring a map and allow enough time for hikes through this section, as one trail leads to another, and your original route may take a detour. You might again follow the White Trail, beginning at the parking area off Route 517 a half mile north of the interstate. Heading up the mountain, the green-blazed Waving Willie trail intersects and heads north where the White Trail turns right to the east. Further along there is a four-way intersection where you should turn right to continue. The terrain is rough if you leave the trail, but it is also very interesting and beautiful with steep slopes off the trail on one side and large rock outcrops off to the other, amid deep woods with tall trees. Waving Willie's trail eventually crosses the Sussex Branch and exits the park's east edge near the spot where Willie once greeted thousands of motorists every day from his chair perched beside busy State Highway 206. Mountain bikers love "Allamuchy North", where the hilly and rocky trails test advanced riders who roll over large rocks, ascend short, steep technical hills and navigate the naturally challenging features of trails such as Lumpy Bumpy and Rollie Pollie. The Jersey Off Road Bike Association (JORBA) assists the park service in building and maintaining multi uses trails at both Allamuchy and Stephens. Members remove downed trees, assure trail sustainability by incorporating trail drainage solutions, and build new approved trails during scheduled trail maintenance events. JORBA members have worked closely with the Park Superintendent to develop and incorporate a marked trail network system as well as detailed maps of three distinct parcels. The entrée for a wealth of advice and mountain biking knowledge is found at their website. Despite being bisected by Interstate Route 80, there is plenty of space to find your own special spot in Allamuchy and Stephens State Parks. Be sure to pick up or download a park map so that you can maximize your trail time. 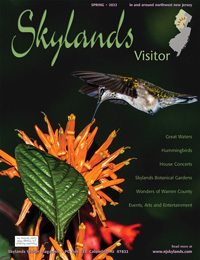 180 Stephen's Park Road Hackettstown, 07840 (Warren County) (908) 852-3790. NJ Parks website.